Pre-heat Oven at 350 degrees. Grease an 8×8 pan, line bottom with parchment paper then grease again. In a heavy saucepan, mix Brown Sugar, oil, water, and ginger spread, heat to boil-once thickens a tad, remove from heat. 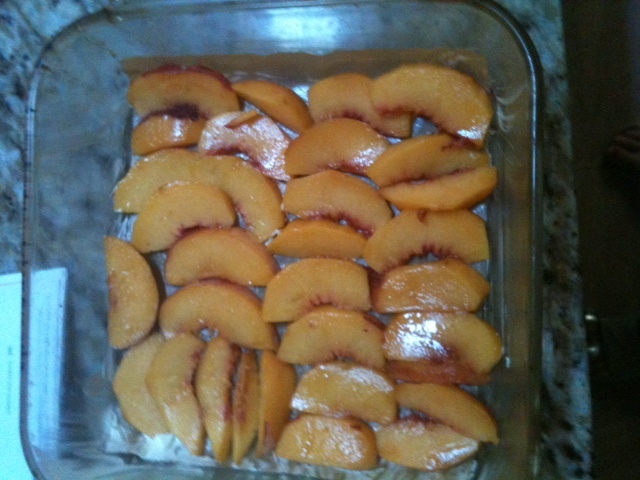 Peel peaches and slice then line in bottom of pan. Mix dry ingredients in separate bowl, set aside. In Mixer combine: Lemon, vanilla, dry ingredients, rice milk, and egg replacer. Mix medium speed until combined-1-2 minutes. 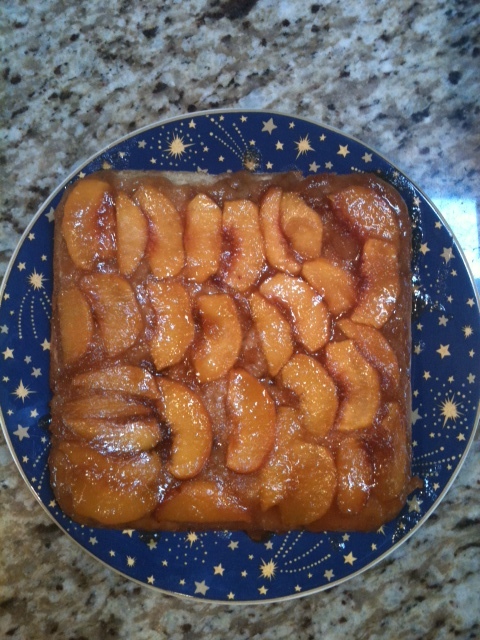 Assemble cake by pouring ginger-sugar syrup over peaches, then spoon the cake batter on top -spreading to cover peaches. Bake for abt. 30 minutes until toothpick comes out clean from cake center. Allow to cool for 20 minutes, then place large dish over pan, and invert. The cake should drop nicely in place. 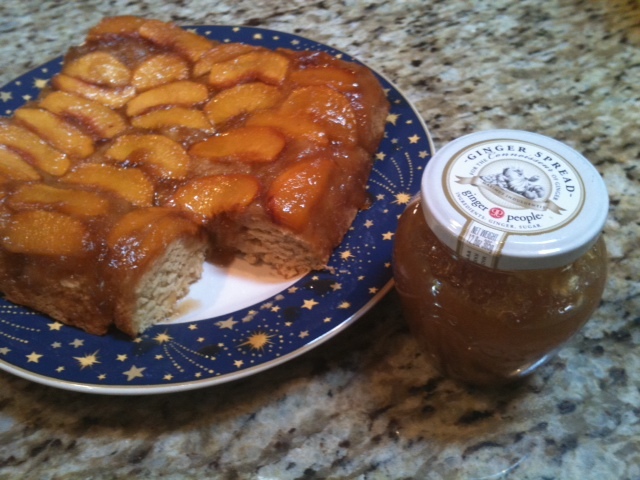 This would be DIVINE served warm with a scoop of [safe] vanilla ice cream!